Starbucks is offering up a new coupon valid for Buy 1 Get 1 FREE Holiday Drinks starting starting at 3PM! 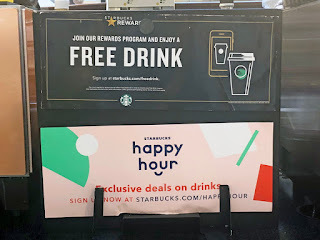 This coupon was sent to everyone who signed up for the Starbucks Happy Hour emails. If you're not a member, sign up now so you don't miss out on any future deals! This coupon is valid today, December 6th only.